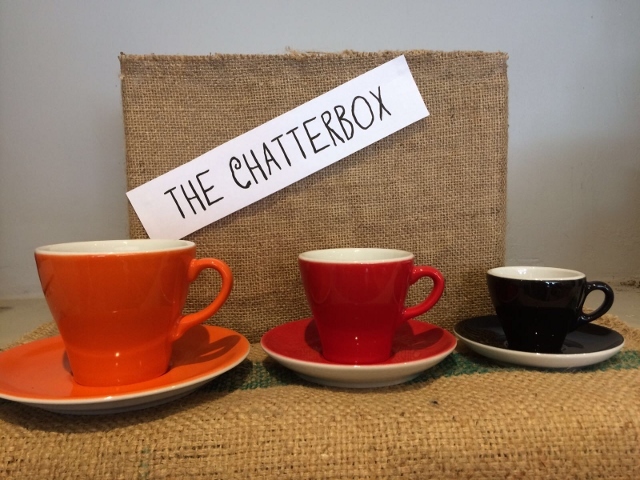 The Chatterbox; news and views from The Coffee Den, plenty of ‘Chit Chat’ anything we want to ‘Shout Out’ about and occasional ‘Juicy Gossip! First Edition and doesn’t cost a bean – published occasionaly! 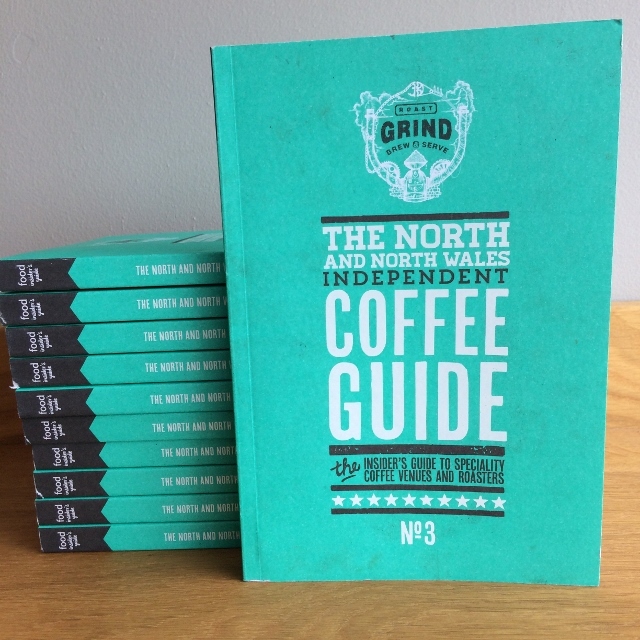 It’s here the third edition of this great guide book and yes we are in it, page 85! Atkinsons of Lancaster kindly hosted the launch event which we went along to. We did put Abbi’s name forward for the Latte art throw down but she was having none of it – those of you who have been in The Coffee Den are well aware of her artistic milk skills. We have plenty of copies available, either on line or in The Coffee Den. 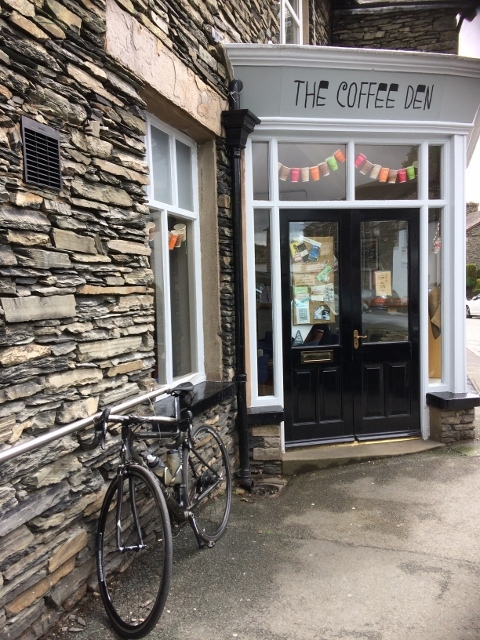 Having observed unrelaxed customers,twisting and craning some even leaving their seats to make sure that their pride and joy had not been ridden away, i felt it was a good idea to install a bike rack. Feeling the same way about my own pride and joy i could fully sympathise with them. On the otherhand there is the added bonus of preserving the windows as i watch less carefull riders let the handle bars crash on to the glass! It blends in rather nicely too with the wall which is why i thought it necessary to draw your attention to it! Or more accurately called Tiramisu Beer. 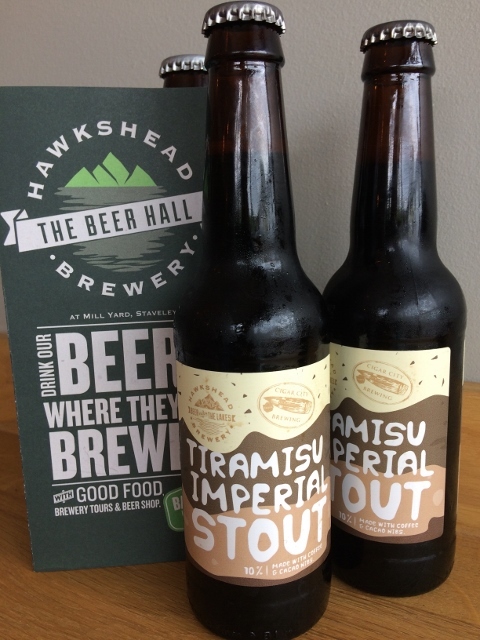 We were really chuffed to be asked by Hawkshead Brewery if we could supply them with coffee for their new invention. Matt (Hawkshead’s Head Brewer) came along with another from Cigar City Brewing (USA Florida) to do a cupping session to establish which beans would be perfect for the brew. It’s a strong stout 10%, best drunk cold and in sensible quantities! It can be purchased from selected independent specialist craft beer shops around the country and Hawkshead Brewery. 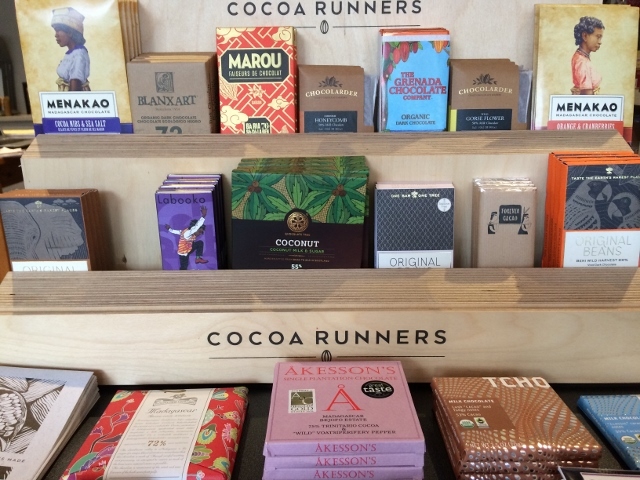 The last batch didn’t hang around for long,it was immediately shipped to Sweden.